This fragrance launched this year and it's the new version of the classic signature fragrance Ivoire de Balmain, which originated back in 1979 and was the it fragrance throughout the 80s... 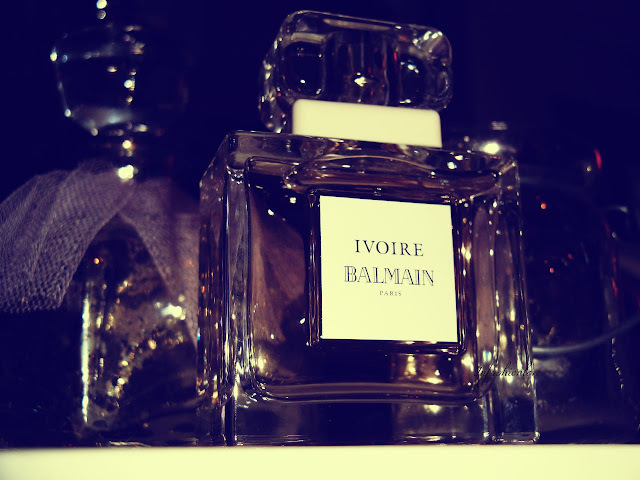 According to Olivier Rousteing, the young creative director of Balmain, the new interpretation is a modern take on the fragrance that still captures the original timelessness... 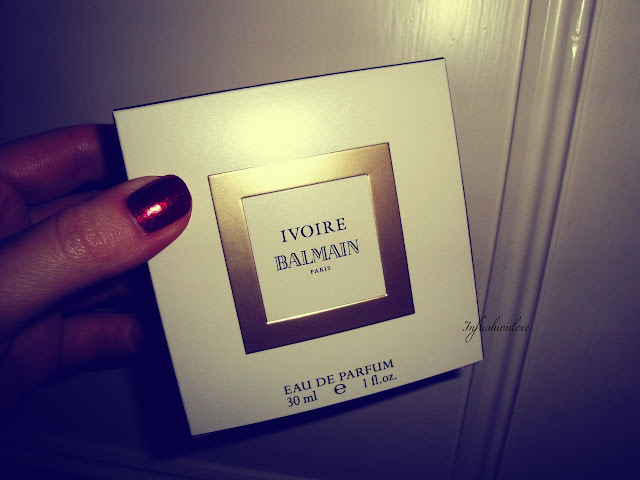 Personally I haven't tried the original fragrance but when I tried the new Ivoire I could smell that almost smoky vintage richness of a fragrance, with notes of modern freshness mixed into it... 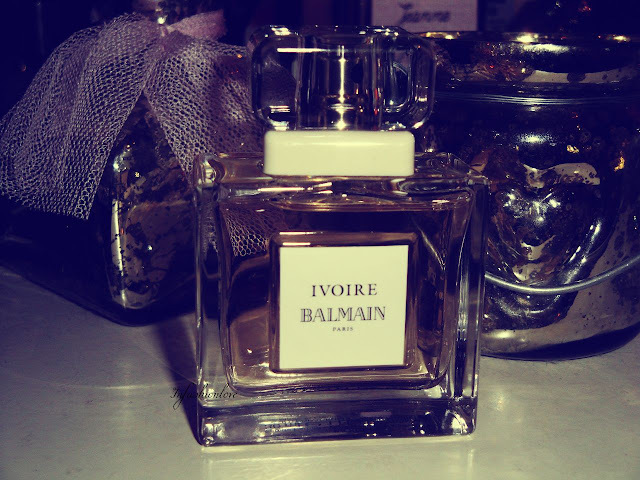 It's a warm powdery floral scent with notes of rose, jasmine, iris, ylang-ylang, vetiver, and patchouli... On the skin it warms up to a very pretty and classy scent... The bottle looks beautiful, clean lines, very elegant and chic!